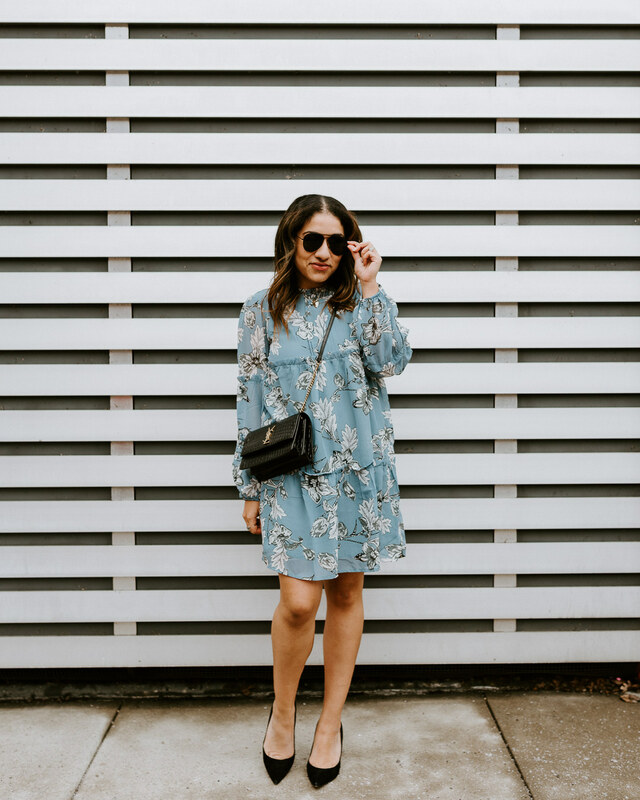 I am certainly no stranger to the dress/sneaker/jacket formula, and I am also no stranger to the pieces in this look, as they have all been styled before. I wore this [non-maternity] dress here when preggo, this jacket long before that [holy throwback! ], and these sneakers most recently on a girls weekend away. When combined, this look is 100% me and something I’d wear running errands or running after a toddler! I highly recommend [obviously] having a go-to LBD in your closet as well as a green jacket! I’ve worn one so many times on the blog [like here, here, and here] and it truly is such a versatile piece that can elevate any look. Mine is ages old from Piperlime and I love the unique leather detailing. I also have a traditional one as well as camo and I wear them all so much. I’m linking up some nice options below if you’re in the market! Thanks for stopping by!